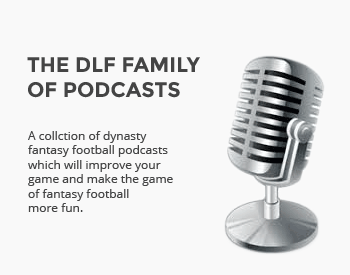 Does Ryan Fitzpatrick have any magic left and what could it mean in dynasty leagues? The Miami Dolphins have been looking for a long-term option at quarterback since Dan Marino was at the helm for seventeen seasons from 1983 to 1999. Since then, they’ve trotted out the likes of Jay Fiedler, AJ Feeley, Gus Frerotte, Joey Harrington, Cleo Lemon, Chad Pennington, Chad Henne, Matt Moore, Ryan Tannehill and Jay Cutler, while still failing to find a true long-term answer. It’s only fitting they’d find yet another bridge quarterback after their latest failure and as a result, they signed the enigmatic Ryan Fitzpatrick to presumably keep the seat warm in 2019. The trade has some dynasty impact, so let’s take a look at the players affected by the signing. The ultimate nomad, Fitzpatrick will now join his seventh NFL team after stops with the Rams, Bengals, Bills, Titans, Texans, Jets, and Bucs. Over his 13 seasons, the 36-year old has amassed a respectable 29,357 passing yards, 190 touchdown passes and 148 interceptions in 140 career games. In Miami, he’s likely going to be asked to be the starter unless the Dolphins find a way to get a quarterback who’s ready to start in the upcoming NFL Draft. At this point, that’s starting to look unlikely unless they want to trade up. Any thoughts on how it affects Miami RBs? More check downs? I think it’s really hard to predict any real affect in any kind of logical fashion. In theory, Fitzpatrick is an upgrade over Tannehill and should have them in more positions to score and longer sustained drives. However, we’ve also seen him play a lot worse than Tannehill as well. Besides, we aren’t really certain how this coaching staff is going to use the running backs in general. While it could stand to reason the backs could get more touches and check downs, I couldn’t say that with any real sense of confidence.